On Friday, July 27, 2018, JMA ventured out of the office for a day of Canoeing the Grand. Our party of 12 and 6 canoes were shuttled upstream to Kaufman’s Flats to commence the journey. Approximately halfway through our 4hrs of paddling, we stopped for lunch and a rest. After finishing our sandwiches, watermelon and cookies, John had everyone draw “straws” to find out who our new canoe partner would be for the second leg of the trip. The weather was just fine for enjoying the water, nature (Great Blue Heron) and bridges (Bridge Street bridge). At one point, we managed to make a canoe barge out of 5 canoes while the lone canoe was full speed ahead. Sadly, they missed the photo opt but were eventually captured on camera along The Grand. 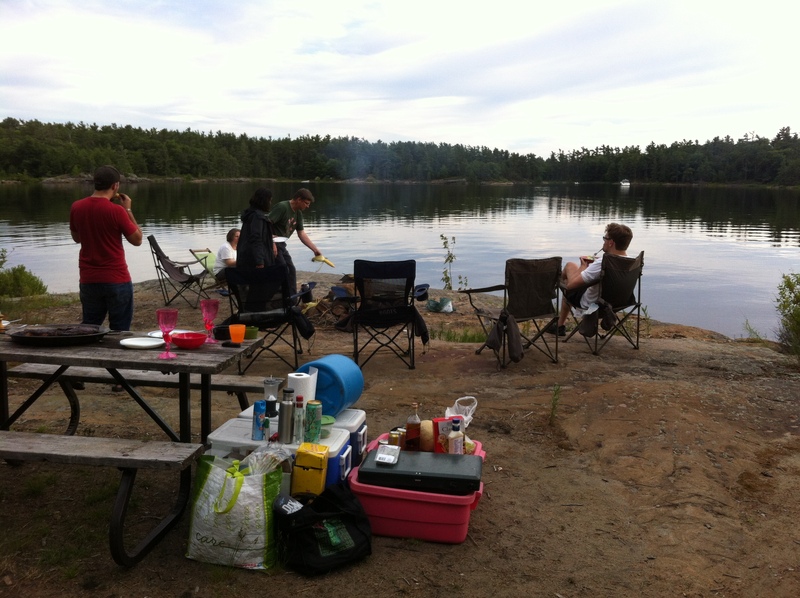 After a few water mishaps, bottoming out in the shallows and near canoe tippings, we made it to our final destination. Although a little bit wet from the rain, we all still managed to smile for one last photo. Elyn, Matt, Margaret, Marc, John and Melhik pause for a quick photo op while scaling the rocks on Wreck Island. 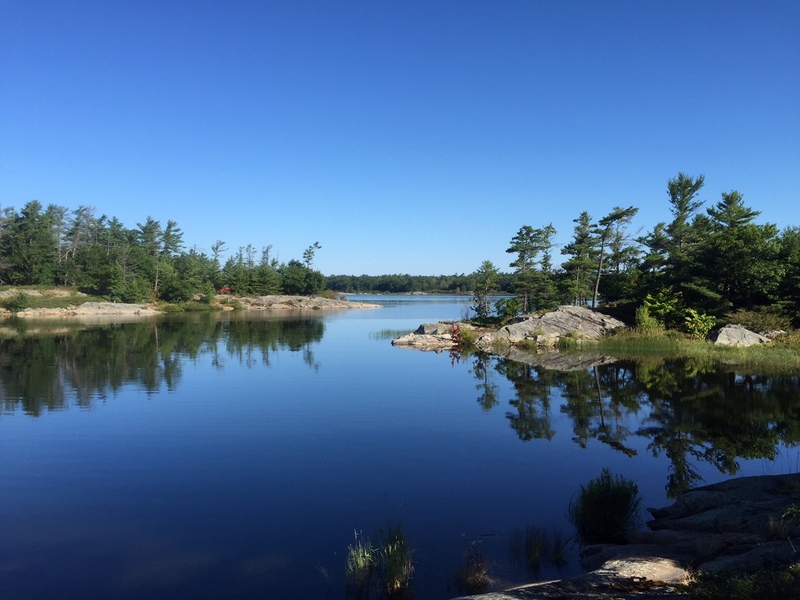 On the last weekend in July, 7 intrepid explorers from the JMA team set off into the sunshine to continue the tradition of the JMA Massasauga Camping Trip. 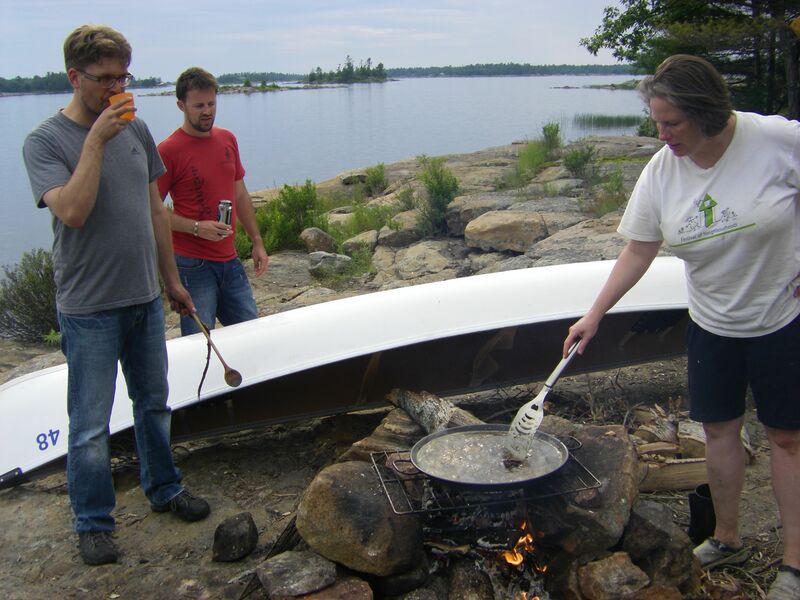 Good weather, great company, and even better food were enjoyed by all over three days of canoeing, hiking, and swimming against the wild backdrop of the Canadian Shield. 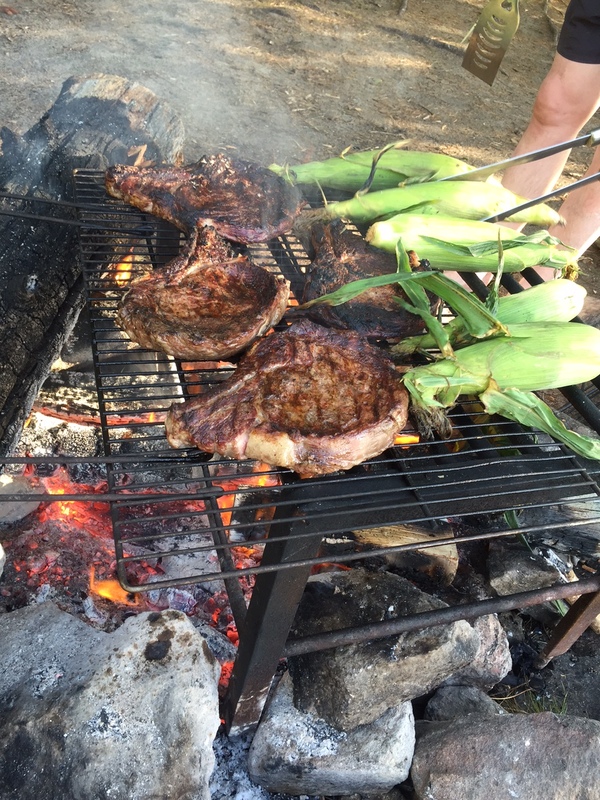 Feasting in style, a full gourmet steak dinner cooked over an open fire, and “Bear Paw” pancakes! The local fauna as seen in their natural habitat. 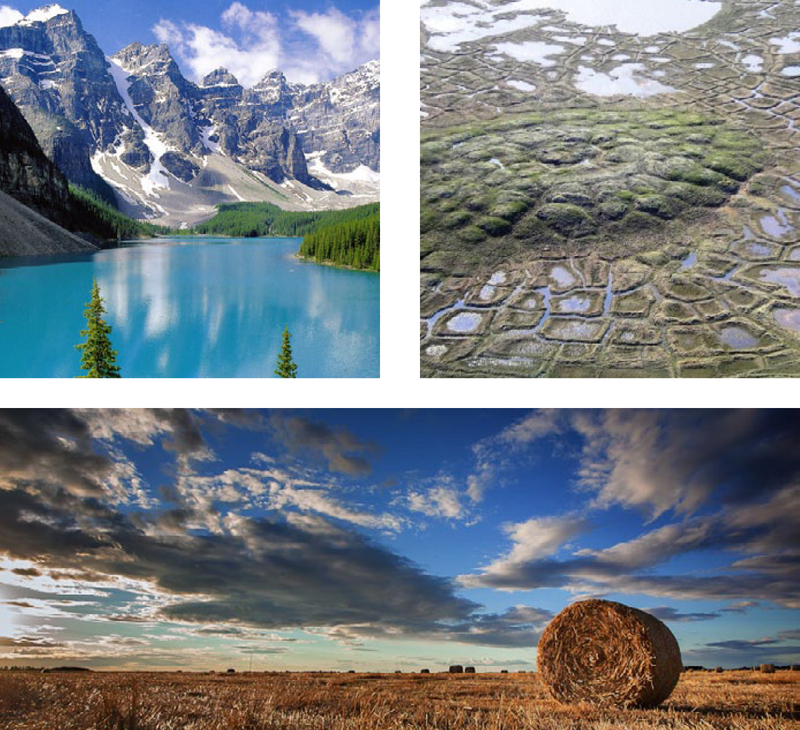 Marc and Elyn captured our exploration of the stunning landscape as resident office photographers. This entry was posted in Environment, Travel on 2017/08/02 by adminjma. The Second Annual JMA Canoeing Adventure officially began in the parking lot beside our office. It was a Friday morning in early August, when 5 adventurers – John, Margaret, Matthew, A.J. (me) and Michelle – embarked on a two night, three day journey into the great outdoors. Northbound from Kitchener, they crossed the country in two trusty Toyota’s arriving at Pete’s Point in Massassauga Provincial Park in the early afternoon. After the canoes were rented and loaded, they embarked upon the second leg of the journey, across the water and into the wilderness. The weather was outstanding. We managed to make it to our site in 2 or so hours despite a slight head wind, and break for a dip part way. The Campsite, located deep in the Massassauga Archipelago was full of possibilities, complete with a slowly rising shelf of Precambrian Shield for swimming, two great tent clearings, a bathroom box in the woods with a view of a beautiful grotto like brooke, a grill for the fire and a leaky teapot someone had left for us. After the tents were set up, John and I set out to get some extra fuel (wood). We found a dead tree and set about harvesting the better part of the top third bringing it back to site in the canoe. John made a roaring fire which died down into a nice bed of coals upon which he cooked 4 very nice, very large pieces of top sirloin beef. The Friday feast was completed with corn, eggplant and peppers, salad and grilled pineapple and peaches, poached in rum. On Saturday morning, after a few of us took a dip, we prepared breakfast. Using Margaret’s large paella pan, we cooked a pound of bacon, and then (with a lot of the grease sizzling away still in the pan) we made peach pancakes. The trick with peach pancakes is to bring instant pancake mix and canned peaches. Chop the peaches in the can, then add with the juice into the pancake mix. We had terrific results and will likely recycle the recipe for the Third Annual JMA Canoe Adventure. Despite a soft rain we embarked on a trip to Wreck Island, known for its geology and outstanding swimming. 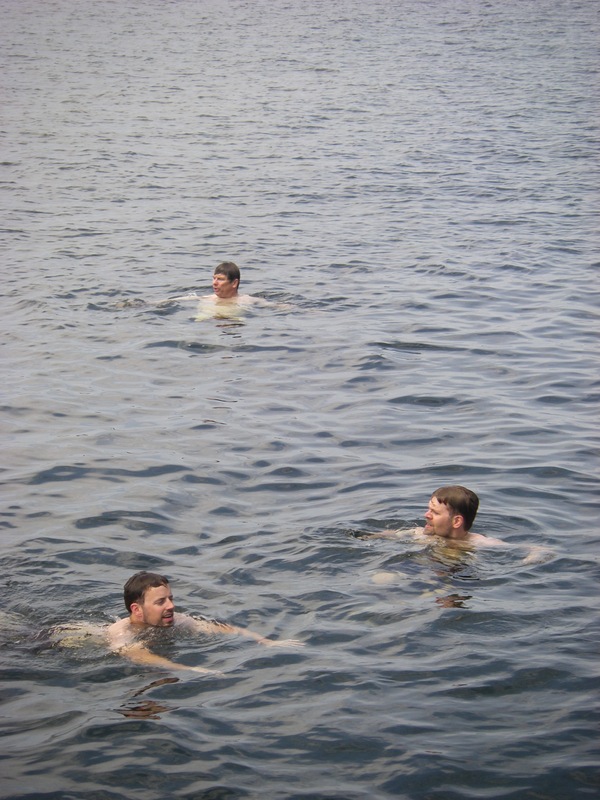 The water was very flat and the rain kept us cool as we paddled to the very edge of the archipelago. Upon our arrival the skies began to part and we enjoyed a very sunny picnic on the island. The picnic featured three types of sandwiches, a genoa salami with spinach and dijon mustard on a healthy artisanal multi-grain, a hummus wrap with roast veggies, and a cucumber sandwich on a light rye with fresh dill and lemon cream cheese. After a refreshing swim under a very blue sky we pushed off again, bound for our camp site. The paddle home was long under a hot sun. We had a delicious chili with avocado and buns for dinner. The evening was spent by the fire with smores, and jokes and laughs. Sunday morning was filled with relaxing and intermittent packing. At noon we said farewell to the campsite and, with a breeze at our back we leisurely paddled back to the launching docks. After dropping off the canoes we headed back south to civilization. We stopped for Ice Cream in Mactier and continued to snake through the country avoiding the Muskoka traffic. For the final meal of the weekend we enjoyed a high class affair at the Whistle Stop in Beaton. In various levels of grunginess we five adventurers savoured the fabulous meal before we finished the drive into the sunset and home to Kitchener. 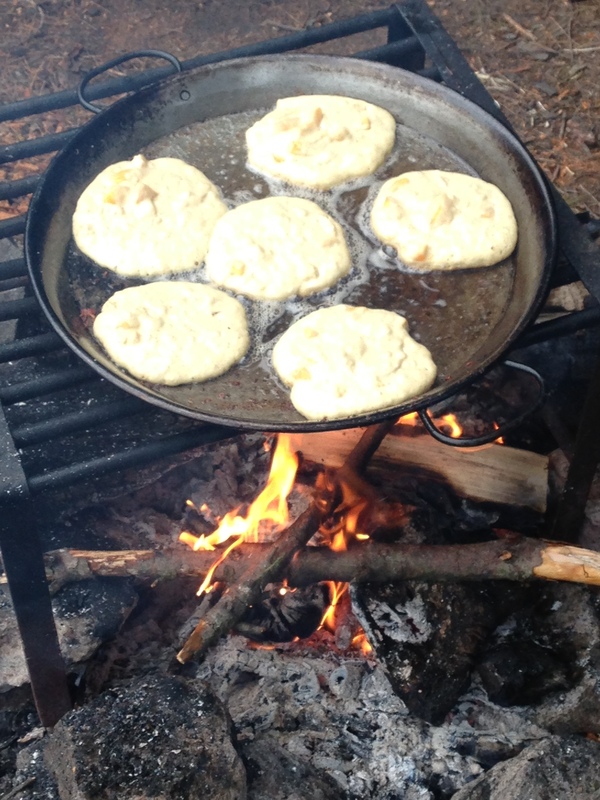 This entry was posted in Food, Travel and tagged Camping, Massassauga, Ontario, peach pancakes on 2015/08/20 by adminjma. 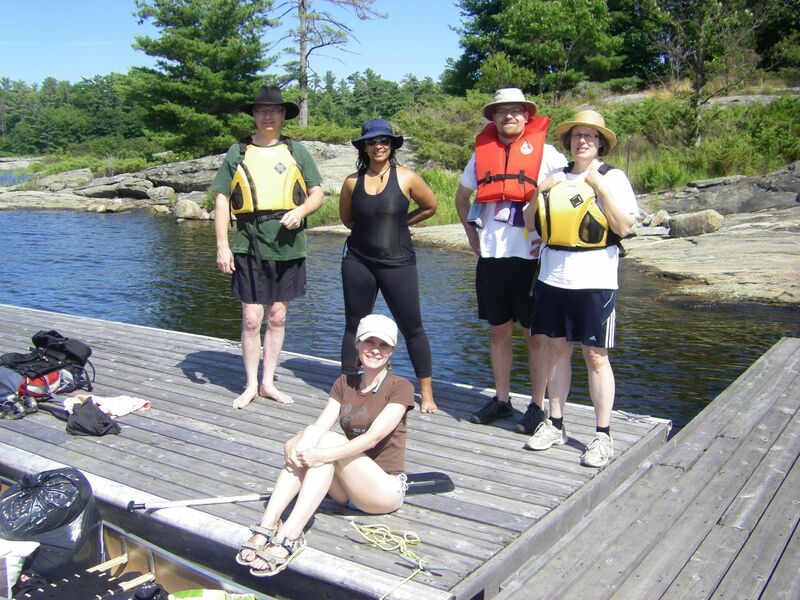 On a sunny July Friday, JMA staff headed to the Massasauga Provincial Park for a terrific canoe trip. 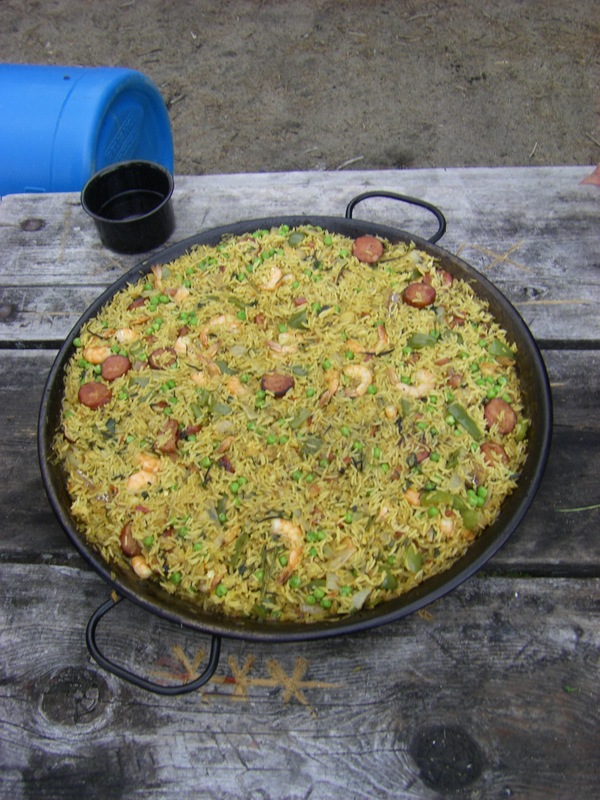 We planned the dates, the meals, our available supplies and searched hard into our true canoeing and camping abilities. For the six of us who could come, we figured that we would need three canoes and two tents. John and I were familiar with the park, and knew that everyone would love the experience as much as we did. 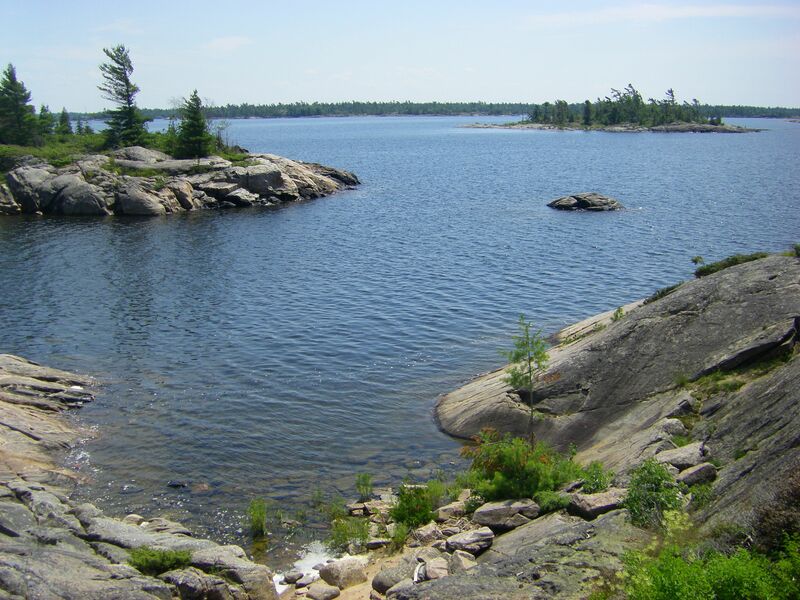 The Massasauga Provincial Park has been in operation since 1989. It is an archipelago in Georgian Bay just south of Parry Sound. This is bear country and home of the Massasauga rattlesnake. Campers must take precautions to avoid unwanted encounters with wildlife and be ready to paddle to their campsites with all their supplies in tow. For all our efforts we were more than rewarded with the incomparable beauty of Georgian Bay and the Precambrian Shield. 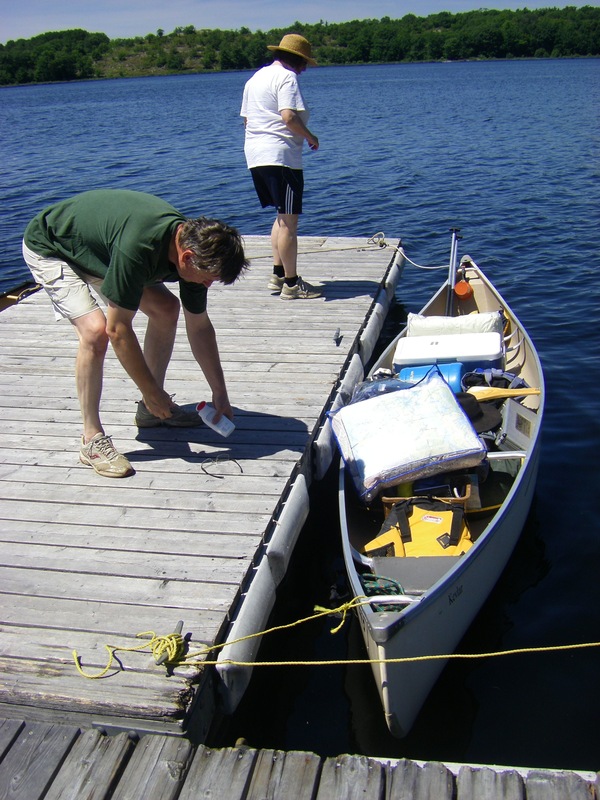 Day 1 – John and Margaret loading up their canoe at Pete’s Place Access Point. A 3 ½ hour paddle would take us to our campsite on Moon Island. The first evening at our campsite. On tonight’s menu: Steak. Day 2 – Day trip to Wreck Island. 1 ½ hour paddle to the westernmost island on the archipelago. Exploring the rich geological history on a hike through the Wreck Island Trail, a landscape of eroded, twisted and multicoloured ribbons of rock, sometimes pitted, sometimes folded, always beautifully sculptural and a treat to the eye. m“The entire office could attest that I went into this trip with great, rattle snake inspired, trepidation. As the weekend went on though, my fear dissolved and I began hoping to see one of the Massasauga rattle snakes. I didn’t see any of them though. The rocky landscape somehow made the snakes seem more awe inspiring than scary. Maybe next time I’ll see one!”, Lisa – Explorer Extraordinair. We finished our hike with a swim in the cold waters of Georgian Bay. 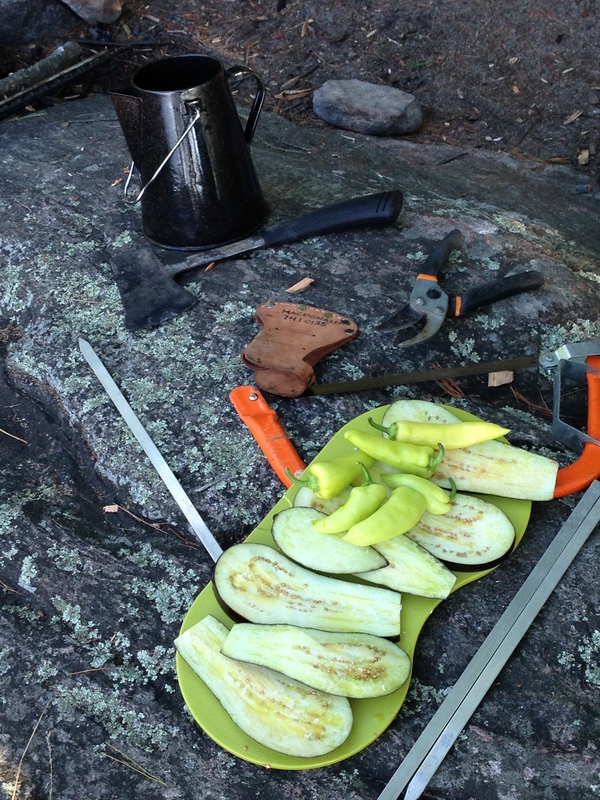 Back at our campsite, making dinner…. a true team effort. Well done, everyone! For Margaret’s Recipe Click the Link! That evening the wind was dead still and we were expecting rain. We used the tarpaulin to protect all our supplies overnight. We were able to see the “Supermoon”, but soon it began to cloud over. Rain started to fall late at night, and became progressively stronger. We were afraid that we would have to paddle into a howling southern wind in the rain. We were praying for no lightning. Day 3. A miracle! The rain stopped, the wind started to turn around, and even though we were soaked, we were now looking forward to our return to Pete’s Place Access Point… until a heavy fog came rolling in. We couldn’t see across the bay. We were afraid that if we took off in the fog, we would get lost in the archipelago. The fog did lift after a bit. We paddled through the mist. It was hauntingly beautiful. We bid our farewell to the park, and resolved to return another year. Of all the places in the world which would you visit? Remember life is short, which is why many of us have some sort of “Bucket List” (things to do or see before we die). So what sort of wonderful things would an architect want to check off the list? 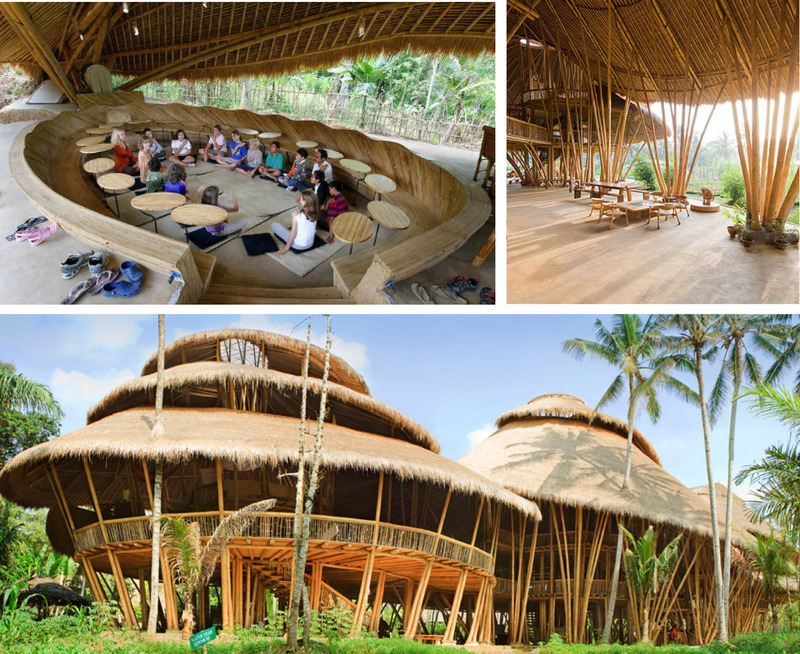 We took this question to our office in hopes of creating An Architect’s Bucket List. Croatia wouldn’t be seen on too many Bucket Lists, but Matt longs to explore the town of Dubrovnik on the Southern Dalmatian coast. “The images of the ancient medieval fort town of Dubrovnik, with its orange tile roofs, its apparent freedom of form, has captured my imagination ever since I was young” Matt says. Dubrovnik became a popular tourist destination in the late 19th century and was designated as a World Heritage Site in 1979. Judging by the pictures, it is easy to see why. We have all seen them in the movies and studied them in school, the Pyramids of Giza are probably on many people’s Bucket list and Trena is one of them. “Since I was in elementary school and learned about the pharaohs, mummies, stolen treasures and theories of how the pyramids where built, I have wanted to visit Giza. It seems all so mystical” Trena says. The Great Pyramid is one of the seven ancient wonders of the world, after all. Tell us what amazing destinations are on your Bucket List! Reply below.